While most homeowners try to maintain their homes in the best shape, one area that is always difficult to deal with is a basement. If you have an unfinished basement in your house, it is highly likely that you have had problems trying to spruce up this living space. For many homeowners, this part of the house is out of sight and hence out mind. However, such an attitude towards your basement doesn’t solve the problem. One of the major issues you have to grapple with in your home is basement water. This is the problem that forces many homeowners to abandon the space. They rarely visit it and when they do, they always complain of dampness and musty odor. The best sign of water entry into this is basement rust, which is a sign of a bigger underlying problem. Rusting describes corrosion of iron and its alloy, steel in an electrochemical process that takes place when oxygen comes into contact with metal in the presence of water. If you have noticed red, brown or orange substances on utility wires, basement column, window wells, or metal tools, it is time to call a waterproofing contractor. These are specialists who have the expertise and equipment required to deal comprehensively with rusting. Protecting your home: Rusting will affect metal fasteners used in the foundation and this can lead to structural failure. The foundation is the single most important part of the structure because it carries all its weight. Any damage to this part of the house can lead to loss of your precious investment. Costly repairs: Failure to deal with moisture entry into the basement will also lead to costly damage in case of floods. In case of heavy rains, water entry in the basement is in torrents leading to property damage and even structural issues that require lots of money to repair. Loss of home value: Basement rust will be used in a home appraisal as a sign of poor home maintenance. This will lead to a lower market value and in case a home buyer is checking out the property, they will also use this as a reason not to buy. 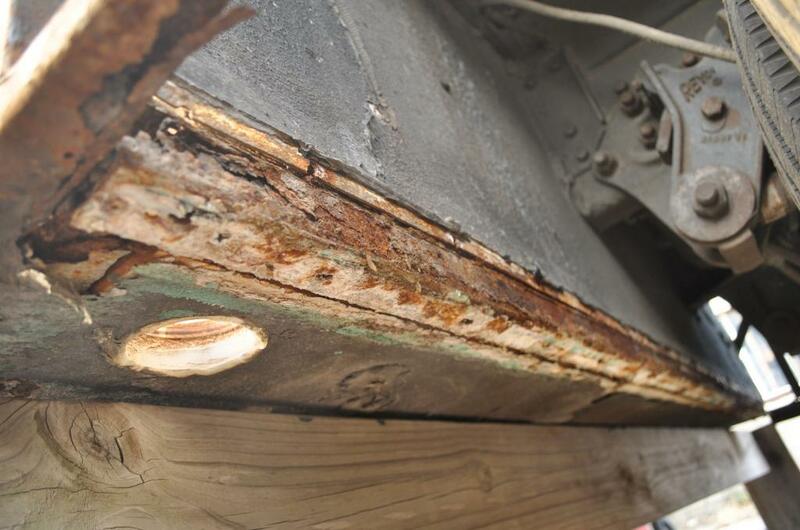 Rusting might not look like a big deal and many homeowners just paint over affected surfaces. However, you should immediately call a waterproofing contractor in order to deal with the moisture problem that is causing rusting before it is too late.